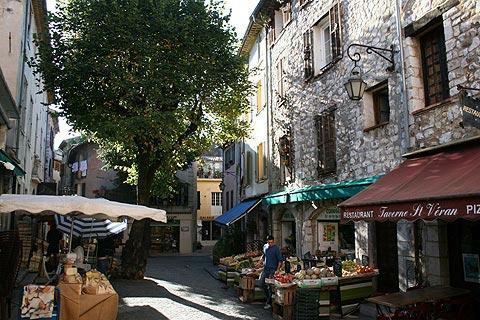 The small town of Vence is on the French Riviera, slightly north of the the coastal resort at Cagnes-sur-Mer. 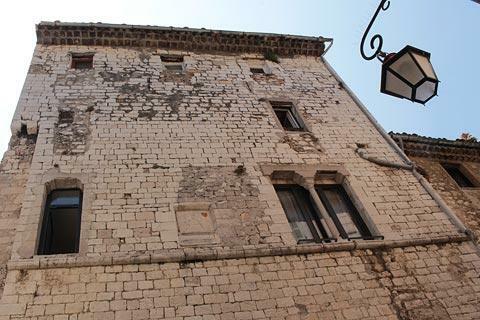 It is a very attractive town that developed on a rocky ledge and is still surrounded by its original fortifications. The town attracts many visitors during the high season. Vence historic centre is circular and retains all its fortifications intact - these are now seen as a ring of ancient houses rather than stone walls - with the five gateways allowing access to the centre. The 13th century fortifications are so well preserved because in the 15th century it was agreed that houses could be built against the walls - so they couldn't later be demolished to make way for boulevards as happened in many medieval towns. 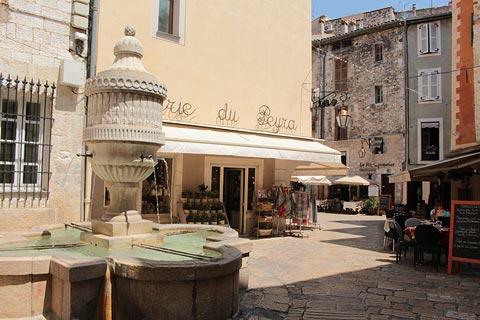 Start your visit to Vence in the Palce Maréchal Juin, the main square in the town. From here you can follow the Avenue de la Résistance towards the historic centre. In Vence tourist office (in Place Surian, at the other end of this avenue) you can ask for an informative 'route map' to make sure you see the main features as you explore. 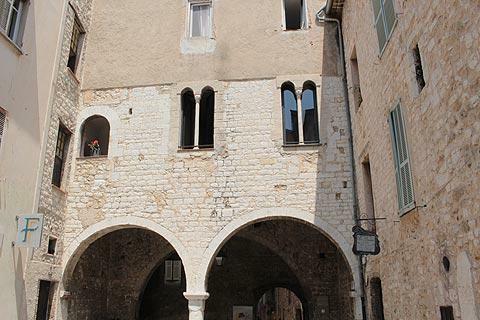 The old town, which is the most interesting part for visitors, is still entered through the original gateways in the ramparts and is where you will discover a fascinating and substantial historical centre to Vence. 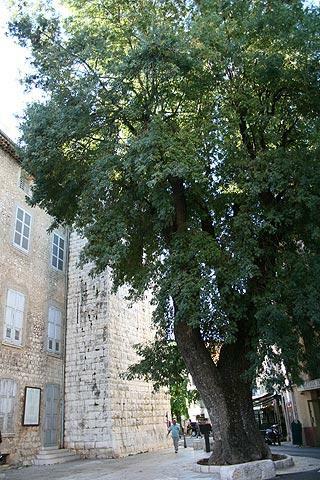 Enter the town centre through the Porte du Peyra, near the tourist office and next to a 16th century ash tree donated to the town by Francois I. 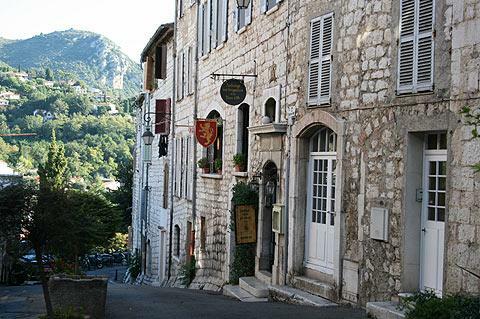 There are five entrance gates into the heart of Vence: the Porte du Peyra, an original entrance although rebuilt in the early 19th century; the Porte d'Orient added in the 18th century; the Porte du Signadour, an original 13th century gateway; le Pontis, added in 1863; and the Portail Levis, one of the original entrances, although the tower that originally stood above the gate has now been lost. Place du Peyra was once the square where public executions took place, but is now a peaceful square with cafes and a fountain! 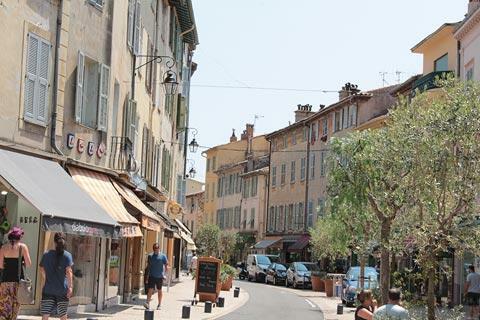 Now inside the historical centre of Vence the layout broadly follows a circular form, with various smaller roads that all lead sooner or later to the main square, Place Clemenceau. A market is held in this square each Tuesday. 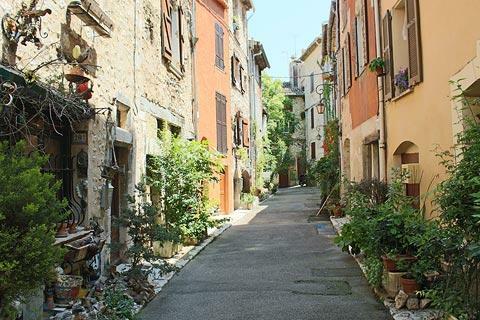 Most of the pleasure comes from simply strolling around the old town admiring the ancient houses and the picturesque and shady old squares where you will find cafes and can take the time to relax and enjoy the setting. 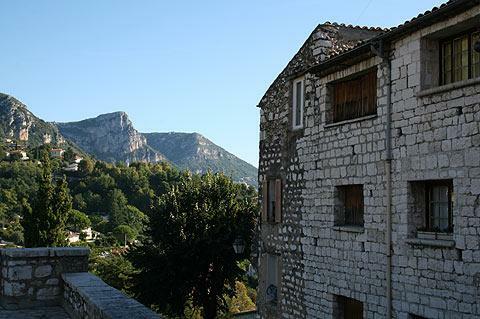 It is the ensemble - the attractiveness of the town as a whole, the flower bedecked streets, the views across the countryside - that will stay longer in your memories of the town of Vence than any one of the particular monuments. 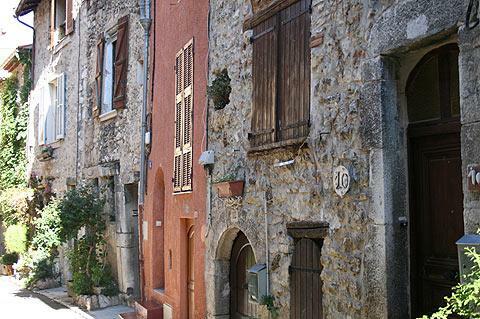 Many of the most important historic monuments in Vence are in and around Place Clemenceau and along the adjacent Passage Cahours. 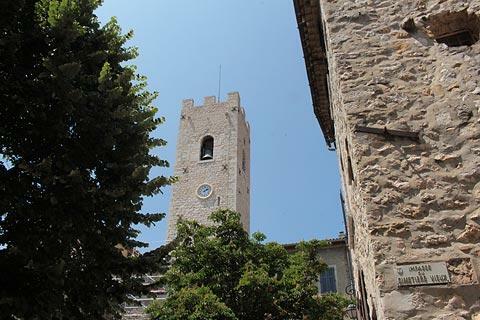 These inclue the Cathedral of the Nativity of Saint Mary in Vence, that dates originally from the 4th century although it was rebuilt in the 12th century. 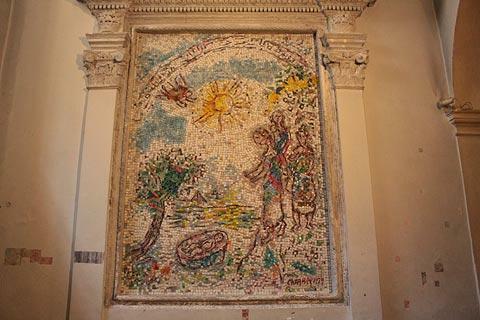 You can see Roman inscription tablets either side of the cathedral doorway and inside there is a mosaic by Marc Chagall. The Town Hall is also in this square. Another highlight is the Chapel of the Penitents Blancs on Rue Isnard with a multi-coloured tiled dome. Various exhibitions take place in this chapel during the year. 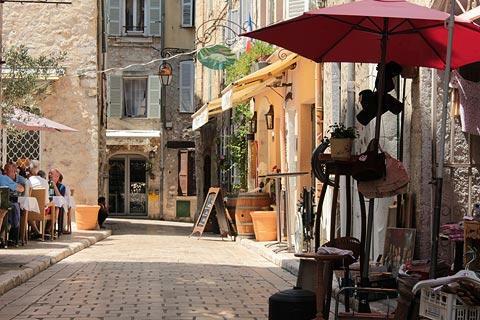 Throughout the old town you will see lots of cafes, and there is still a strong art connection in Vence with numerous small art galleries. 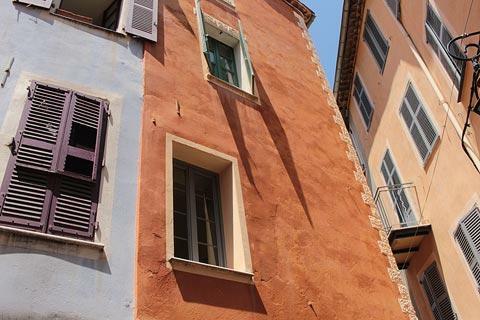 Outside the historic walls you can also take a stroll around the Place du Frêne and the Place du Grand Jardin, next to the Porte du Peyra. Markets are held every day in Place Maréchal Juin, the main square. 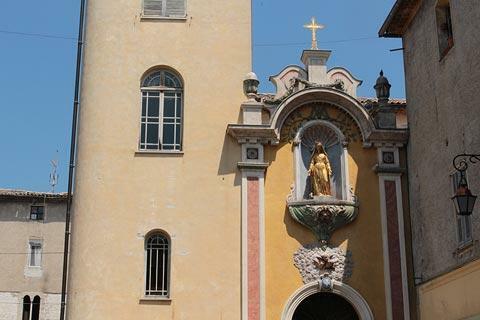 About 15 minutes walk from Vence centre you can visit the Chapelle du Rosaire, also known as the "Matisse Chapel". The small 'Matisse' chapel was designed inside and out by Henri Matisse in the years following the end of the second world war and was among his greatest artistic achievements (albeit not in the traditional 'Matisse' style). The chapel is small yet perfectly formed. Matisse and Chagall, along with many other artists, were attracted here by the town, the surrounding countryside, and the closeness to so many beautiful landscapes. D H Lawrence died in Vence in 1930, and was buried here for a few years before being exhumed and his ashes sent to Mexico. 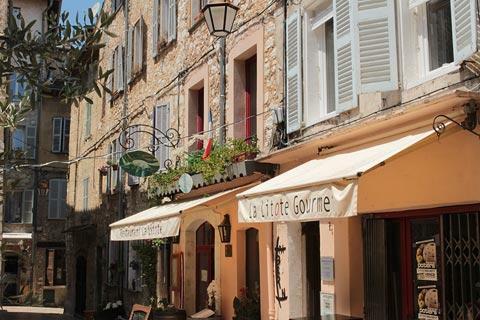 Among the beautiful places along the Cote d'Azur and in the surrounding Provencal countryside we particularly recommend that you visit the villages of Saint-Paul-de-Vence a few kilometres south of here, and Tourrettes-sur-Loup, to the west of Vence. 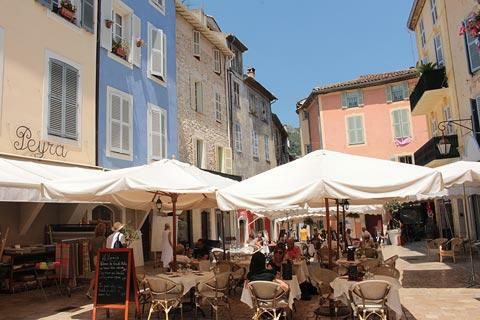 You are also sure to visit the major Riviera resorts of Nice and Antibes while you are here.